VeChain (VET) operates on its own blockchain. 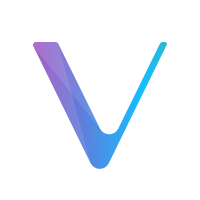 The total supply of VeChain that will ever be issued is 86.71 Billion coins, and the current supply of VET in circulation is 55.45 Billion coins. Current VeChain price is $ 0.00644 moved up to 2.47% for the last 24 hours. All time high (ATH) price of VeChain reached $ 0.0277 on 26th Jul 2018 and fallen -76.7% from it. VeChain's share of the entire cryptocurrency market is 0.20% with the market capitalization of $ 357.27 Million. VeChain’s 24 trading volume is $ 14.44 Million. It is trading on 35 markets and 13 Exchanges . Find more details about VeChain cryptocurrency at the official website and on the block explorer. VeChain price Index provides the latest VET price in US Dollars, BTC and ETH using an average from the world's leading crypto exchanges. The VeChain to USD chart is designed for users to instantly see the changes that occur on the market and predicts what will come next. The vision of VeChain and the VeChainThor Blockchain is to build a trust-free and distributed business ecosystem platform to enable transparent information flow, efficient collaboration, and high-speed value transfers. The vision is manifested through several qualities. In this ecosystem, the information is relatively transparent and symmetrical. A large portion of the source of profit comes from the realization of actual value. In this ecosystem, individual business parties can greatly reduce the potential trust cost between additional parties. This makes business cooperation simpler, more efficient and less expensive. This enables the business to concentrate resources on more advanced technology and better products and services to create more value. In this ecosystem, each business owner, including enterprises and individuals, can position themselves based on their contribution and value, and obtain a fair reward. In this ecosystem, all business activities are like individual dots running isolated on the blockchain platform. Through business use cases and innovations new links can be discovered among the dots by maximizing the features of blockchain. This results in a interconnected webbing of dots across the entire ecosystem. In this ecosystem, the value of growth comes from building links to dots to create grouped value. An example is linking between car company and consumer. From this created value you can find organic growth out of newly discovered links that can carried by high-speed value transmission between these now grouped dots and links. The forms of value created and serviced will be commodities, products, services, assets and funds. The VeChainThor Blockchain is the platform to carry out this future ecosystem with robust blockchain core infrastructure, matching infrastructure services, proper governance and economic design, growing community and business engagement.